Ninja KAL! Come Ninja with us! 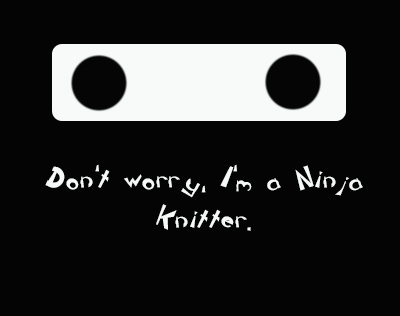 Last year about this time, we had the first Ninja KAL. It was a lot of fun and there was much knitting success and prizes. Well, I’m getting ready to do it again! I hope you will come join us. When: We start March 1st and it will run through the 31st. There is a sale code to go along that runs from now until March 17th that will give you 25% off any pattern in my shop (linked above). The only ebook included in the sale is The Vintage Ice Cream Truck. Where: The event will take place in my group here. There will most certainly be prizes and ninja hi jinx!